Learn more about us and our international network. We are proud of every award that the oneclick™ platform receives as it demonstrates an external confirmation of our continued commitment to improve end user computing. oneclick™ automizes, digitalizes and mobilizes business processes. Therefore, our platform has been rewarded with the winning of the ALSO Startup Award. Our development unit belongs to the Top 100 in 2017 and therefore to the most innovative medium-sized companies in Germany. Among the applicants were numerous global leaders and hidden champions. At the InnovatorsRace50 by Capgemini oneclick has been chosen 2017 as one of the most innovative 50 Startups worldwide. For the second time in succession, oneclick AG has been distinguished as one of the most innovative companies in Cloud Computing. 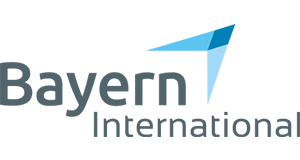 oneclick™ is amongst the finalists in the Cloud Excellence Awards 2018, hosted by Computing, the leading information resource for UK technology decision makers. oneclick made it amongst the finalists for Cloud awards in Best PaaS category. The Cloud Awards programs aim to celebrate excellence and innovation in the scope of cloud-based “solutions as a service”. oneclick is finalist for the IT Europa Awards for Innovating Technology Solution of the Year. This Award has been designed to recognise and reward excellence in European software development and IT solutions provision. oneclick is finalist for National Technology Awards 2019 in the category "Cloud Innovation of the Year". This award celebrates the pioneers of new technology, helps to drive standards and encourages excellence in UK. In order to establish trust, independent evaluation of our platform and processes is very important to us. oneclick™ meets all requirements regarding transparency, security, quality and legal conformity. Audited by Capgemini on behalf of the Federal Ministry of Economics and Energy. We are a Microsoft Authorized Education Partner with the expertise to best serve and educate our clients. 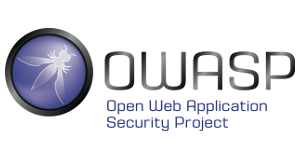 A penetration test according to OWASP confirms: No security problems in web applications have been identified. The webservers show no security-critical lack of configuration. After in-depth review through experts and questioning of reference customers, oneclick™ has been awarded with the gold certificate by the International Chamber of E-Tools. From the external analysis of the innovation management, oneclick AG is in the group of the champions with the highest and most sustainable growth. We meet all necessary criteria as a reliable business partner regarding credibility and professionalism. Our work in numerous professional associations facilitates building knowledge and helps us to always stay on the ball and influence developments actively. Together with the security competence group we engage with all questions around security of IT infrastructures. 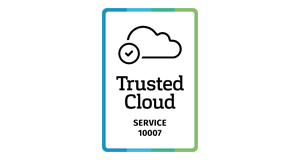 With EuroCloud we work on innovation and competitiveness through the Cloud, data protection as well as interoperability and standards. As member of techUK we are defining today the world that we will live in tomorrow. We are part of the "High-Tech Offensive" and the "Future Initiative" in Bavaria, Germany. With SwissICT we push current topics such as Mobile Computing, Sourcing & Cloud, Security, Innovation and IT Service Management. oneclick AG is a partner in the IT-Cluster, the IT innovation network of Upper Austria. The LKZ network focusses on customer requirements. Strong partners help us to meet complex challenges. oneclick is committed to a founder friendly Germany, promotes innovative entrepreneurship and brings its startup mentality to the society. Startups are the main driver for innovation. oneclick AG is part of the Swiss Startup ecosystem. We are in constant exchange with experts for IT security about the current state of science and technology, processes and regulations to ensure availability, integrity, confidentiality and authenticity. We are member of the largest competence pool for IT Security in Germany and Europe and follow the association´s guidelines regarding “state-of-the-art” in terms of the German IT Security Act. Within the framework of our membership in the ECSO we develop, promote and encourage initiatives and projects for the protection from cyber threats. Together with the leading professional association for ICT security in Switzerland we are taking care of Information Security, Privacy, Risk, Compliance and Governance. Via the Alliance for Cyber Security we own real-time access to a situation picture on cyber threats and continuously receive important background information and useful hints on protective measures. In the context of our activity in the Bavarian IT Security & Safety Cluster we focus on IT Security and Functional Safety. We are member of the Security Network Munich - a network of companies and research institutions of IT and cyber security in Bavaria with the mission statement "IT Security Made in Germany".